Sixth edition of the European Goodwill Impairment Study by Duff & Phelps. It examines general goodwill impairment trends across countries and industries within the European market. The EACVA e.V. (European Association of Certified Valuators and Analysts) had nominated Prof. Dr. Dr. h.c. Wolfgang Ballwieser as a member of the Business Valuation Standards Board of the International Valuation Standards Council (IVSC). ValueTrust released the 4th edition of the DACH Capital Market Study and 2nd edition of the European Capital Market Study, which was prepared by ValueTrust in cooperation with the Institute of Auditing and Sustainability Accounting of the Johannes Kepler University (JKU) Linz and with finexpert (December 31, 2018). I-ADVISE released the 5th Edition of the Study on German Valuation Practice – in Squeeze outs, Mergers and other Legal Measures according to German Law. 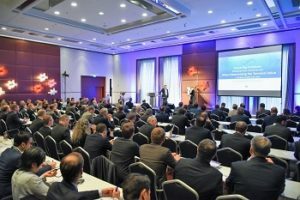 The 12th Business Valuation Conference hosted by the European Association of Certified Valuators and Analysts (EACVA) took place on 22 and 23 November 2018 in Düsseldorf / Neuss, Germany. The event brought together 350 CPA’s, corporate finance and tax consultants, analysts, controllers, lawyers and academics.